The Fishermen’s Heritage Centre and Peter Coke Shell Gallery will be opening again from Saturday 13th April to Easter Monday (the 22nd) for the school Easter holidays. Both will then open again for the main summer season on Wednesday 1st May until the end of September. For full details see the opening times page. One of the more famous rescues carried out by the Henry Ramey Upcher Fishermen’s Lifeboat was of the brig Ispolen in 1897. 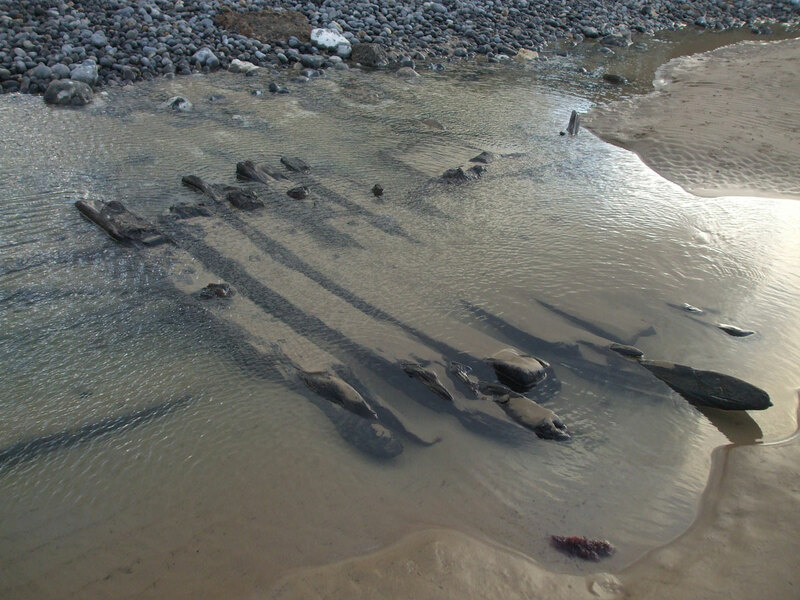 The remains of the wreck are occasionally exposed by storms and tides to public view. The latest exposure was on 29 October 2018 and photographs are shown below. 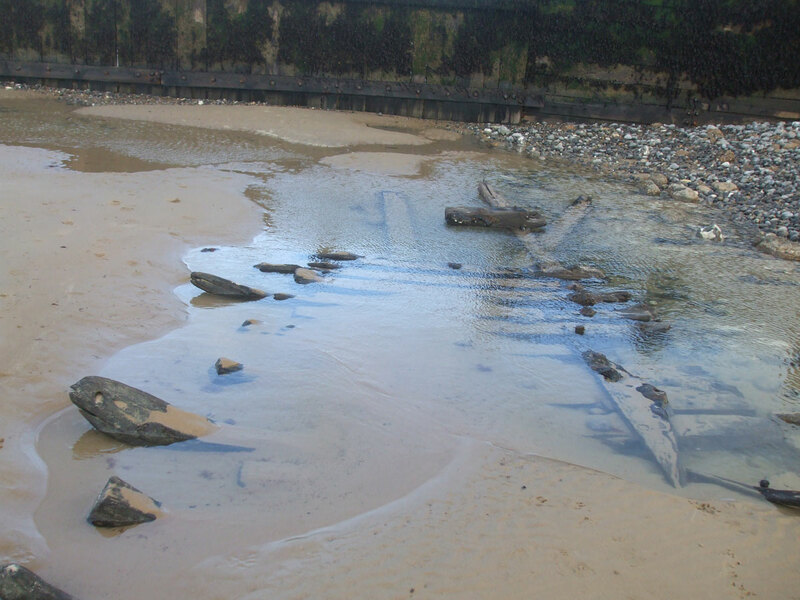 There was a big storm in December 2013 which took away some of the timbers but it appears that since that catastrophic event even more timbers have been lost. 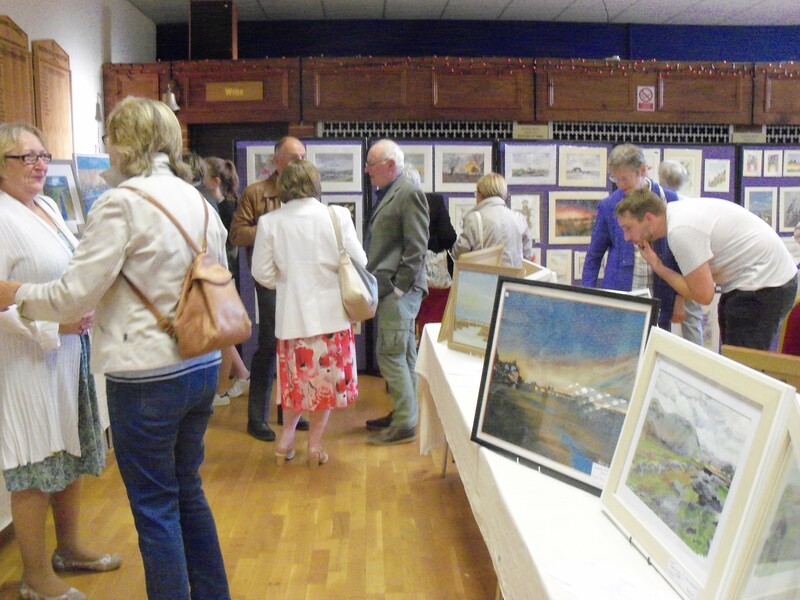 This year’s art exhibition was opened by the Mayor of Sheringham, Councillor Mrs Madeleine Ashcroft on the evening of 16th August when a preview was held for members and invited guests. The raffle prize was generously donated by Tony Purdy. 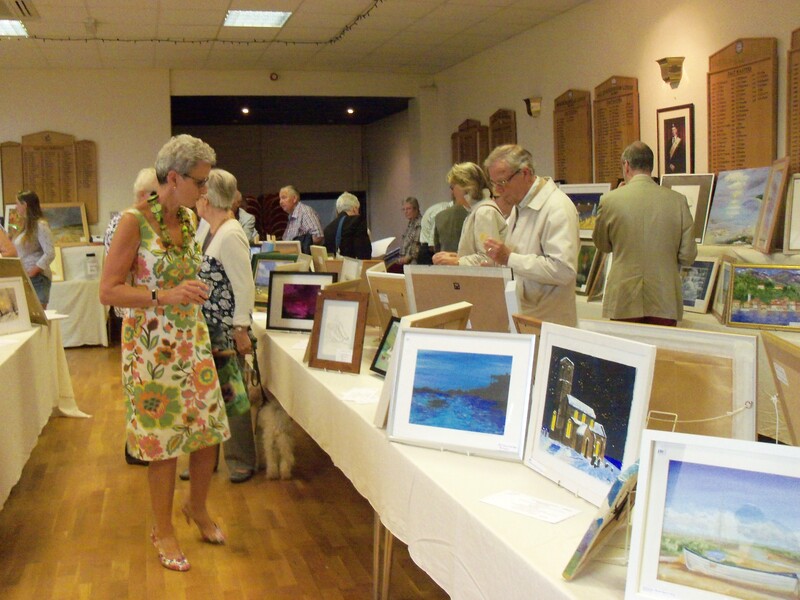 By the time the exhibition closed on the 28th August, 55 pictures had been sold – another very successful outcome attesting to the high standard of the works on display. Any profit made (initial estimates are that it will be about £800) will be donated to this year’s chosen charities, Macmillan Nurses and Marie Curie Cancer Care. Photographs are from the Preview Evening. 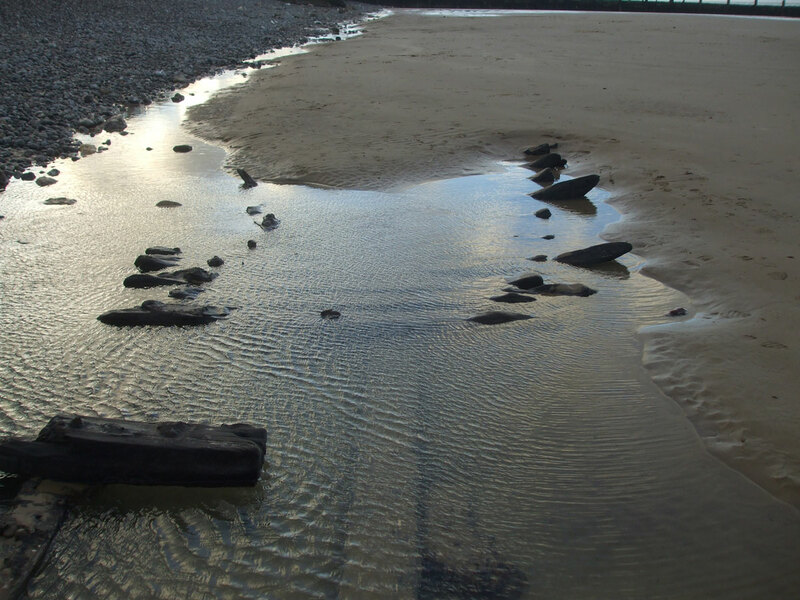 The Sheringham Society held its AGM on 13th April. Many thanks to the 32 members who came to give their support, the best attendance for several years. The society reported another successful year in 2017. All members of the current committee will continue to serve. Members are very grateful to Chairman Peter Strudwick who has agreed to continue in post for another year, but he will definitely be standing down at next year’s AGM. The society is very successful in everything it runs and has a healthy balance sheet but cannot function without a strong team organising its activities. Vice Chairman John Gardiner has resigned from that post and will continue on the committee. We are now seeking someone to fill that role with a view to taking over from Peter next year, with Peter then becoming Vice Chairman in support. 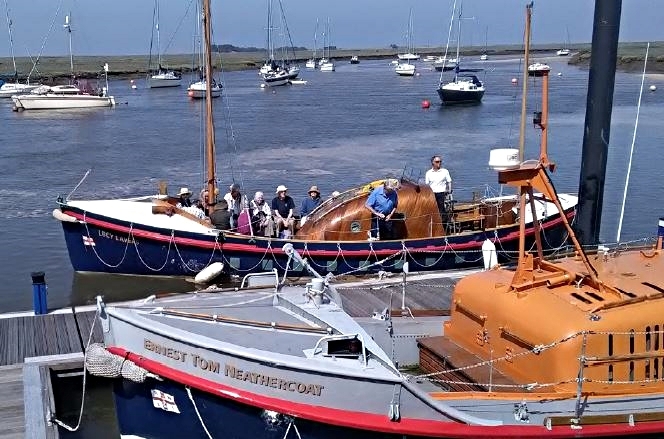 In July the Society organised another trip on the Lucy Lavers lifeboat based in Wells-next-the Sea for members and friends. Anyone wishing to go on a similar trip in 2018 should contact Social Secretary Maureen Cooper (tel. 822156) or the Society Secretary (see Contacts page). The photograph shows the group on board just before launching off.